After having breakfast at the hotel I headed to the local bike shop to a) see a little of Rennes and b) see of they had some suitable gloves as I could do with some that have a little padding below the base of my thumb, which the current ones don’t. The shop turned out to not have any fingerless gloves at all, but the walk was good. 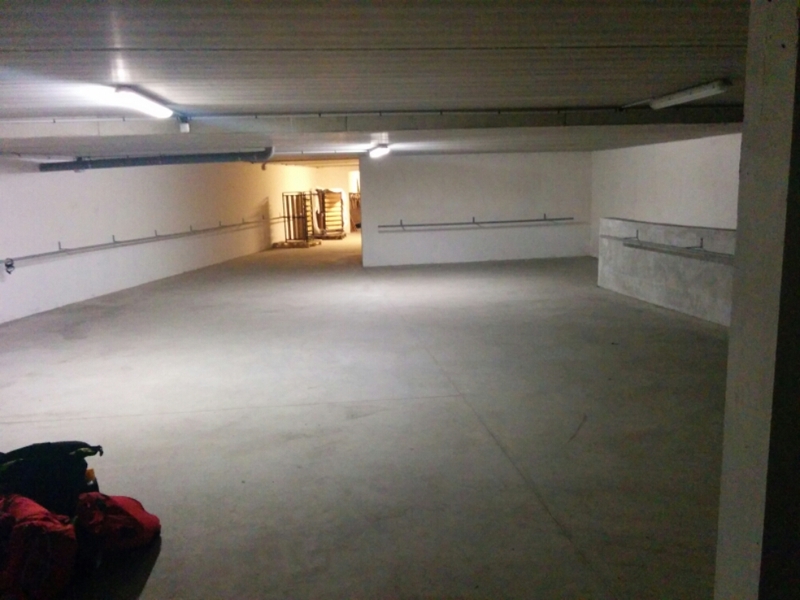 The secure bike storage area under the hotel was immense. A bit like the batcave, but without the gadgets. Saw a huge spider down here. 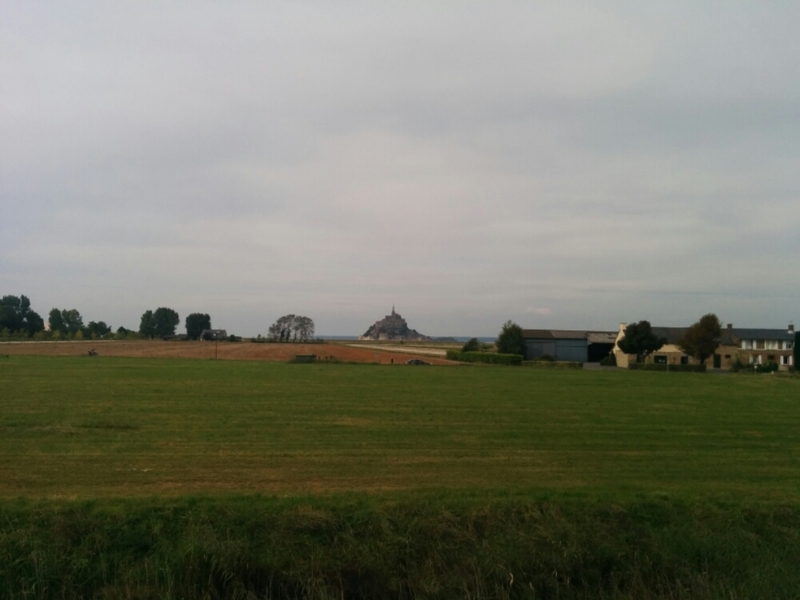 I set my satnav for Avranches where I’d booked a night’s accommodation (given up with the camp sites now), via Mont St Michel, and headed North. The route out of the city centre and first hour or two’s cycling was really nice. The route joined busier roads. 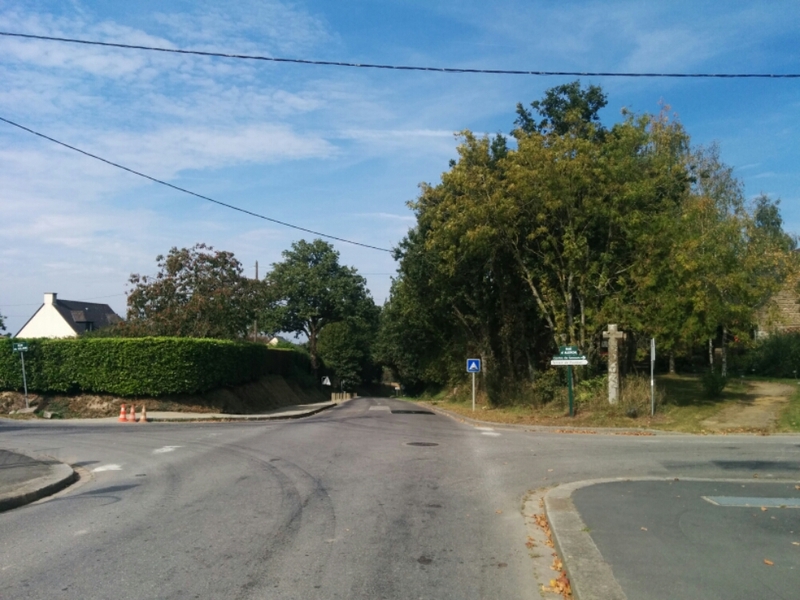 Like England’s ‘A’ roads, France’s ‘D’ roads can vary a lot in terms of traffic and traffic speeds. 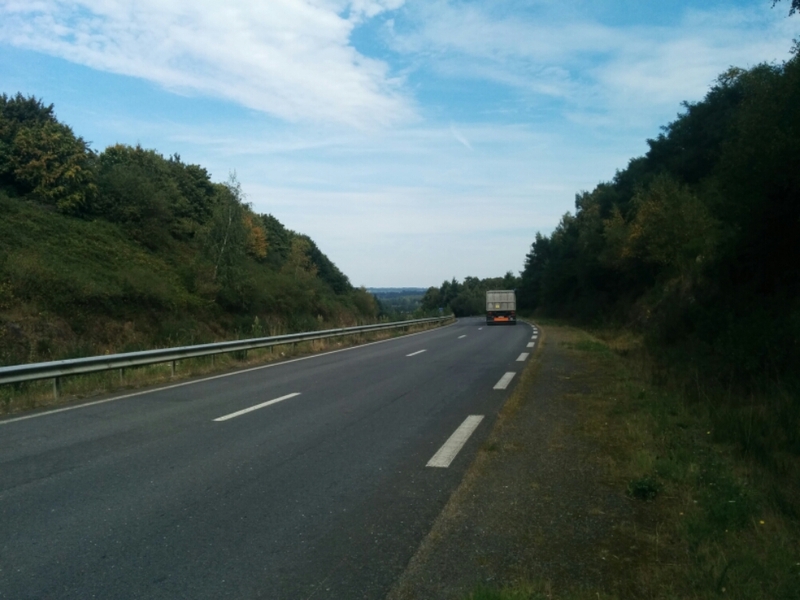 The following stretch had a 120 kmh speed limit, and the hard shoulder part didn’t make pleasant cycling. Though better than some of the road from yesterday. Very glad I had my hi-vis with me for these sections. The vast majority of motorists give space, especially the professional goods lorries, but you get a few that drive too close. Most stretches of road have no hard shoulder so you keep as close to the edge as you can. Lunch was a Mars bar and cola from a petrol station shop (most petrol stations here are self-service with no shop). 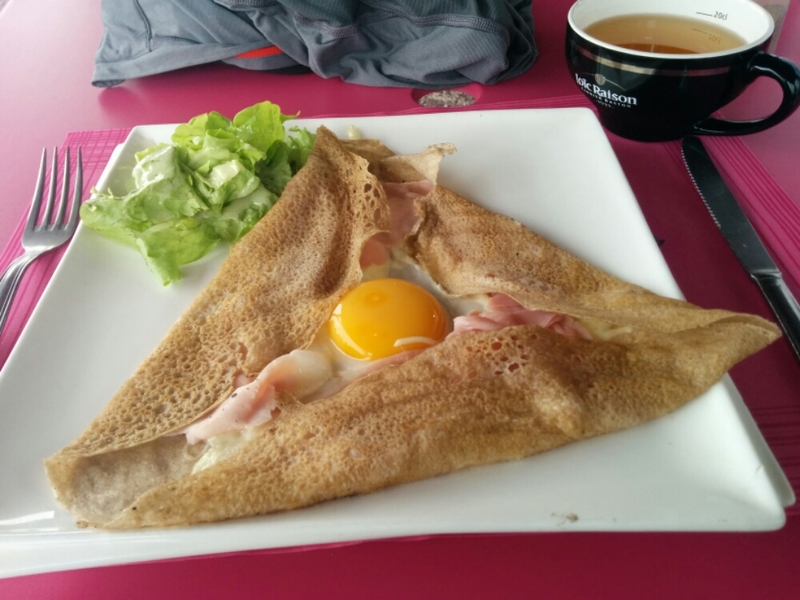 Just before I reached Mont St Michel, I passed place selling a local speciality of crêpes so popped in. Other local specialities here are cidre (served in the cup) and calvados (but I’m cycling). Mont St Michel was impressive, but I couldn’t get close as bikes aren’t allowed over – you are expected to lock your bike and head over on a coach. As I have ssouch luggage, I didn’t fancy leaving the bike for over an hour, so passed on the opportunity to see the abbey. Tonight’s accommodation is in Avranches. Dinner was at a small restaurant in the centre of town. 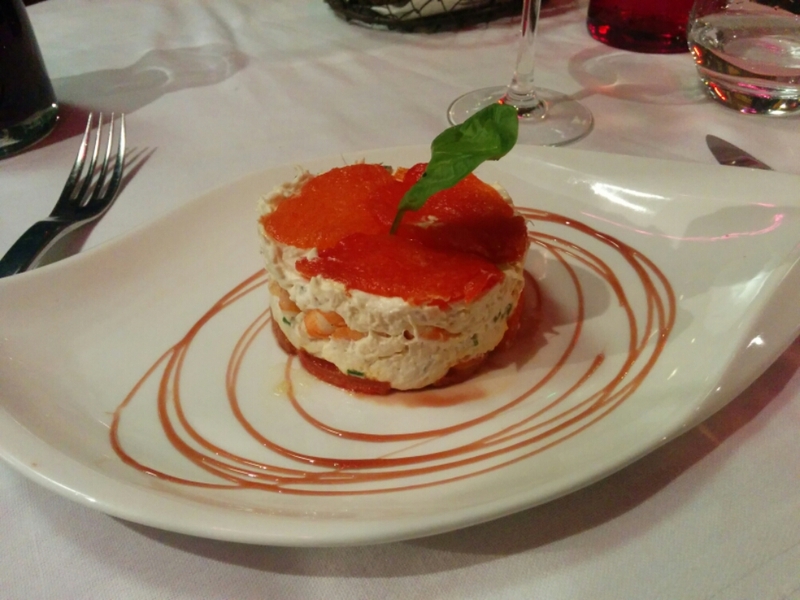 The entrée is always the best bit! 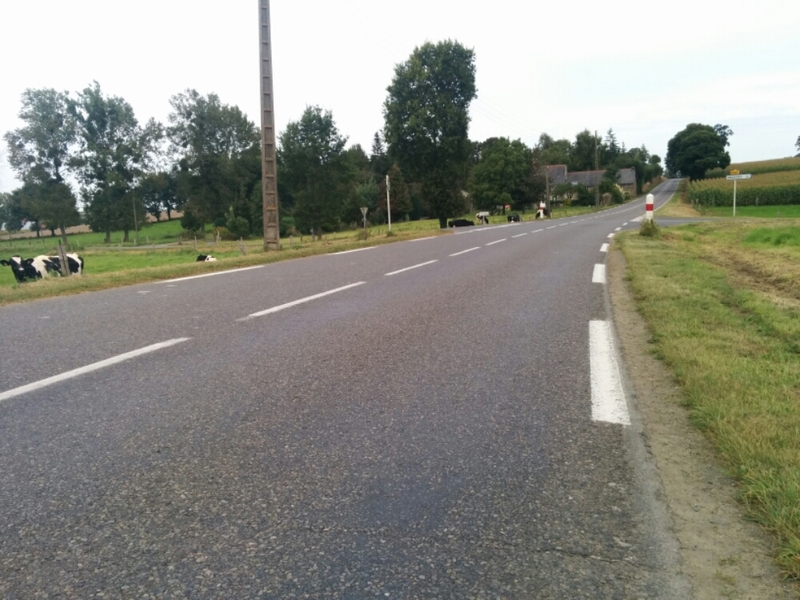 Rennes to Avranches, 92 km. Total so far = 3,781 km. James, thanks for sharing your adventure with us. Very much appreciated. Unfortunately all good things eventually come to an end. If you need a pick up or anything from anywhere when you’re back in England please let me know. Love and best wishes from Mum and Dad. Cheers, thanks for reading! I’ll be cycling back from Portsmouth tomorrow, so should be ok. London ETA probably around 8pm.